I have read a few posts on this. I would like to begin sending my contract form out to my clients today but when I test it out through email and follow the link, the most recent version is not showing up. I have tried clearing browser history and cache and shift refresh. Thank you!! I have been grabbing the link right out of the little box while in the preview mode. Is there a better place to find it? I am not at this embedding it in a website, but rather just emailing the link to my clients. Thanks, how will we know when to switch back to the direct link or will the www continue to work from here on out? Is there a better place to find it? You can find the link by clicking on the "Embed" icon on the top of your page. 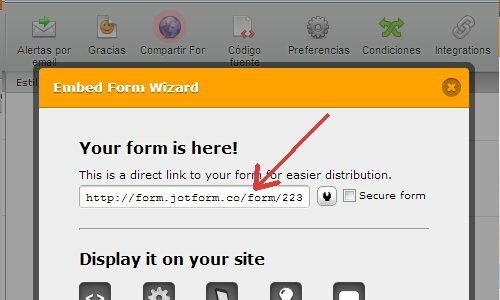 You will see the link to your form on the embed wizard. Also here is a guide to help you in case you wanted to create a custom URL for sharing purposes.